Nosto, a leader in ecommerce personalization and artificial intelligence (AI) tools for retail, announced the closing of a new round of funding totaling USD $7.4 million led by European investment companies Tesi, Open Ocean and Idinvest. Nosto’s innovative retail personalization solutions have fueled a three-year growth rate of 260 percent in North America driven by deep relationships with 2,500 of the world’s fastest growing retail brands. To date, Nosto has raised more than $25 million from investors to further expand its leadership in artificial intelligence and deep learning for retail. “We’re very proud of the momentum that we’re experiencing and the widespread adoption of our AI-powered personalization platform. This funding round comes on the back of major product advancements we launched earlier this month where client impact and results have been phenomenal. 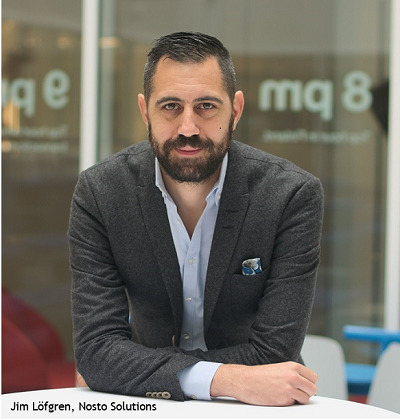 With these new products, we're now enabling retailers to personalize the entire brand and shopping experience in real-time based on our proprietary AI algorithms, which have trained across tens of billions of data points,” said Jim Löfgren, CEO of Nosto. “The ecommerce market is growing strongly in Europe, Asia and the USA. To stand out from competitors, retailers need the support of smarter software and services. Nosto’s AI-powered personalisation platform for ecommerce is one of the world’s best. The platform significantly increases retailers' net sales,” says Tesi’s Investment Director Keith Bonnici.